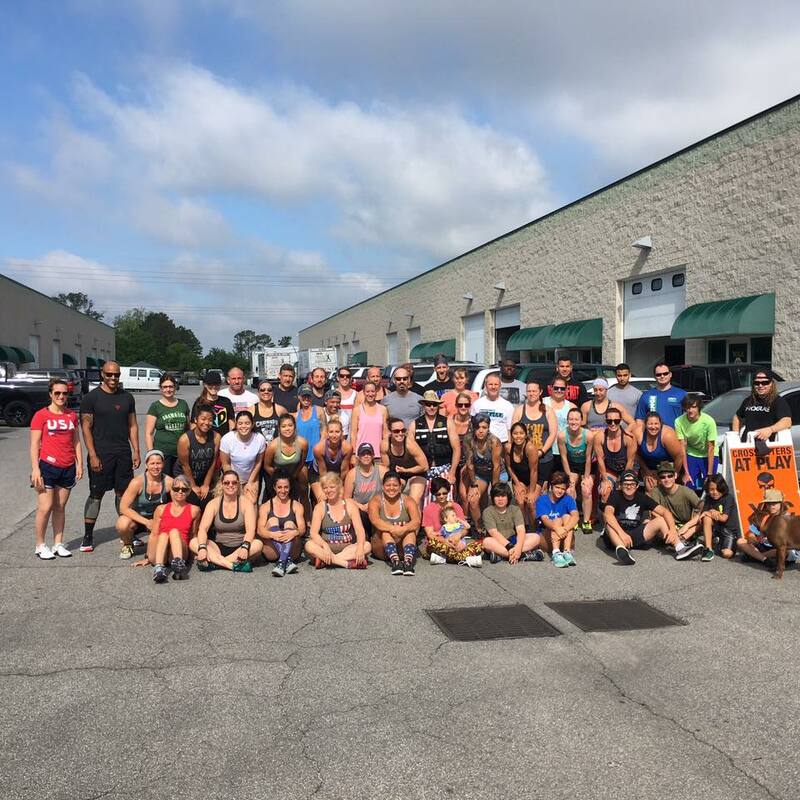 Crossfit cafe in Virginia beach – Eat. Sleep. Train. Repeat. SHOP for CrossFit Cafe gear! does not efficiently utilize your time, nor does it maximize your level of health and fitness! If looking for fitness in Virginia Beach, look no further! We believe in using your body as the machine and combining basic, yet effective, movements in as many ways as possible to improve all facets of fitness. We also believe this can be most effectively accomplished within one-hour training sessions, conducted in a class setting where all other athletes are completing the same workouts side by side building a community of health! BABYSITTING INCLUDED 10 AM MONDAY-FRIDAY; 6:30 PM MONDAY-THURSDAY AND 5:30 PM FRIDAY. For more information, fill out the following couple of questions and we will be in contact ASAP! We are a full time CrossFit gym. This is our passion and we are here to help you reach your fitness goals. Your success is our success and we take this very seriously! We are one of only two CrossFit gyms in a 100-mile radius that has sent an athlete to the CrossFit Games – our programming works! 7,200 SQ. FT. facility that allows beginners, intermediates, and advanced athletes to workout at the same time! We even have a designated advanced section for those who want to follow their own programming or get extra work done after the WOD. One of the most comprehensive Fundamentals classes that teaches new CrossFit athletes how to safely conduct almost all the movements commonly found in CrossFit, as well as how to scale them down to your individual level of experience. The first ever Virginia Beach USA sanctioned Olympic Lifting Club – VBBC (Virginia Beach Barbell Club). Members get unlimited access to our dedicated Olympic lifting area at no extra charge! Nutritional guidance: You will be schooled on the Paleo lifestyle of eating and at any time you may request a review of your recent eating habits. To view today’s WOD (and archived WODs) for the daily classes, “101” Beginners; Women’s Light, … click here. TO START YOU CROSSFIT JOURNEY USE THE LINK TO THE RIGHT TO GET STARTED! This is the ultimate membership that allows you to take any and all crossfit classes as many times as you would like PLUS access to our open gym! OUT OF TOWN DROP INS? $20 FOR ONE DAY; $35 FOR THE WEEKEND (FRIDAY-SUNDAY) $50 FOR A WEEK. $80 FOR TWO WEEKS. You can always call us at 757.672.7400 with any questions you have about the CrossFit Cafe, or feel free to take our initial 9 questions assessment to help us get a feel of how to help you meet your goals. All we ask is that you buy a shirt and make some gains while you’re visiting the beach! Call to let us know when you’d like to come in, 757.672.7400.